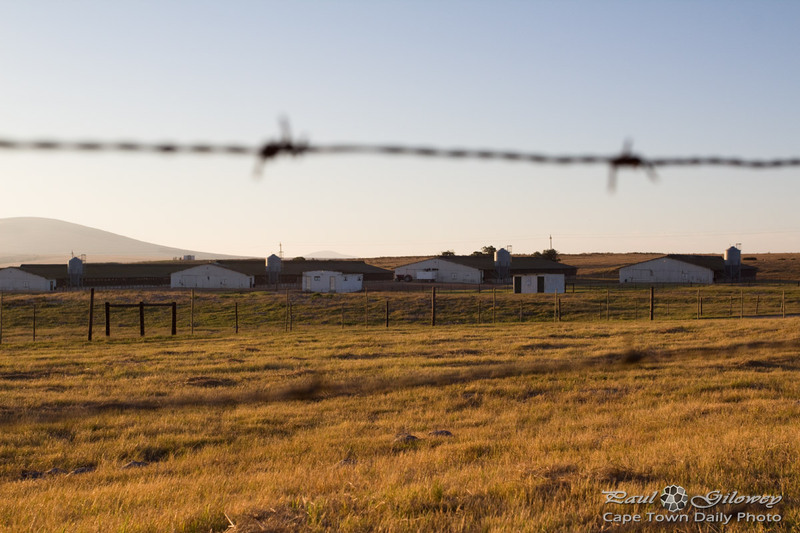 Those buildings in the distance are chicken broilers belonging to one of South Africa's largest chicken manufacturers. Oh, wait, manufacturers? I mean, they're one of South Africa's largest poultry producers. Their brand name is County Fair (which I often mispronounce as Country Fair), but the company's actually called Astral Poultry, and produce feed, eggs, chickens and a variety of other poultry products. Posted in General and tagged broilers, chickens, farms, fences on Thursday, 30 January, 2014 by Paul.